#129. 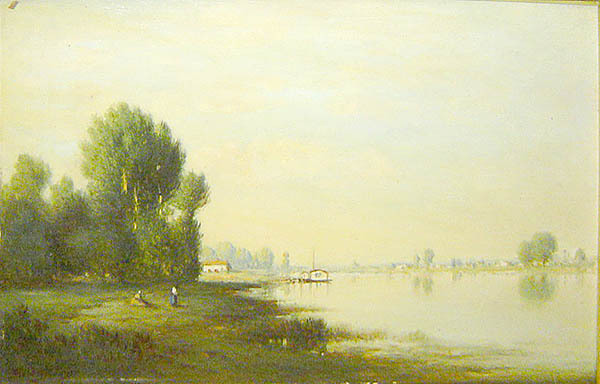 River Landscape with Figures. 11.5 x 18, oil on panel. "Gilbert Munger" lower left. The scene is very likely to be in France, based on similarity with known French paintings. Sold for £900 + 8% at Christie, Manson & Wood Ltd., London, Cabinteely House Dublin auction of 5 and 6 Nov 1984, lot 361. 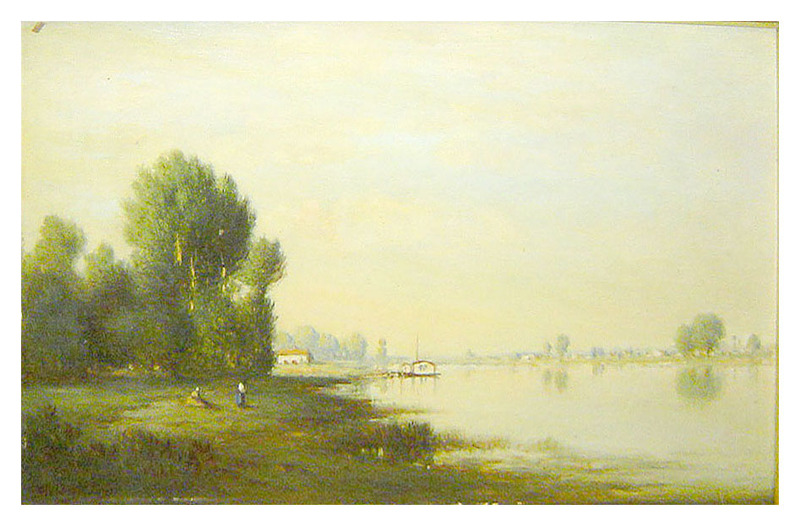 Offered at Christie's London, South Kensington, sale of 24 Mar 2004, lot 26, est. £2,000 - 3,000; sold for £3,000 + 20% to a Utah collector. Image from email provided by Christie's.